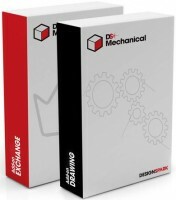 Found one file extension association related to DesignSpark Mechanical and 1 file format developed specifically for use with DesignSpark Mechanical. With DesignSpark Mechanical we aim to give every engineer the power to quickly design and change product concepts in 3D without having to learn complex traditional CAD software. If you need more information please contact the developers of DesignSpark Mechanical (DesignSpark), or check out their product website.